I hope all the grandparent's out there had a wonderful weekend!!! This year my kids gave my mom and dad personalized candy bars. Back in August, on one of our day trips, we went to Hershey's Chocolate World. 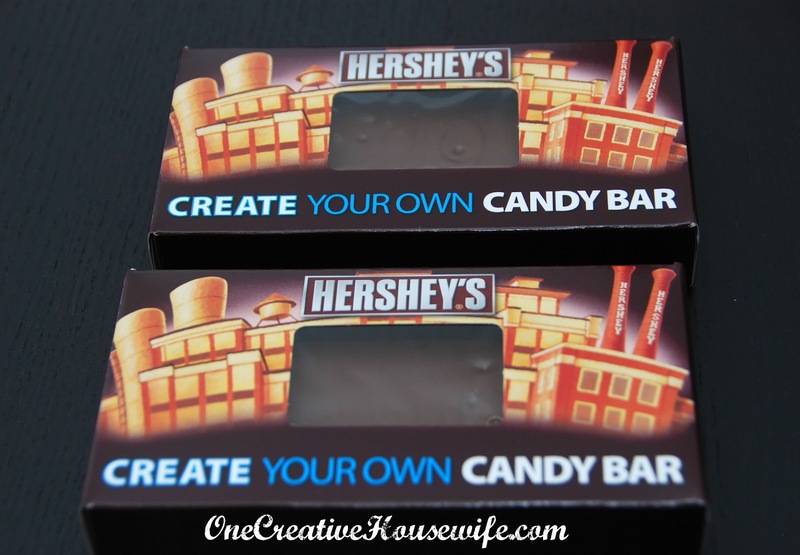 While we were there we did the Hershey's Create Your Own Candy Bar Attraction. 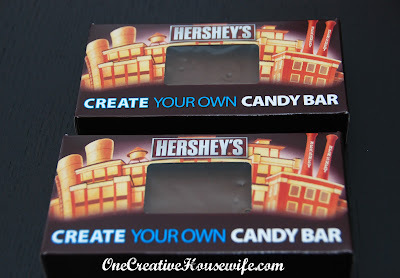 We each got to create a personalized candy bar. 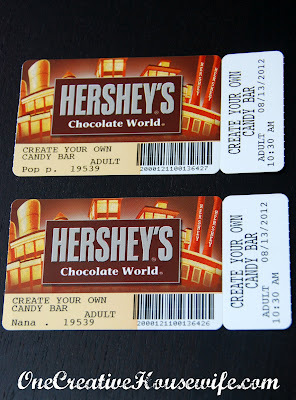 I must say if you have the opportunity to get to Hershey, it is definitely worth checking out. It is pretty neat as an adult and my kids L-O-V-E-D it! The first thing we had to due was purchase our tickets. Each ticket was $14.95. If your child is under 8 they need to be accompanied by an adult, so count on spending for the adults too. 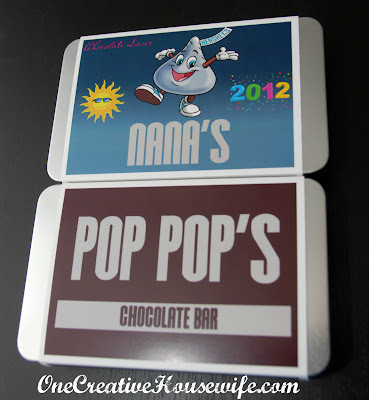 All together we made 4 candy bars, one for each kid, one for Nana, and one Pop-pop. Since Yesterday was Grandparents' Day, we will concentrate on Nana's and Pop-pop's. The first thing you do is get all gowned up when you go in. Then you watch a video about what you are going to do. Next you use touch screens to select what you want in your candy bar. You can choose from white, milk, or dark chocolate. You can pick 3 extras; almonds, butter toffee crunch, butterscotch chips, semi sweet chocolate chips, pretzel bits and raspberry fruit gels. Then you pick if you want sprinkles or not. My daughter chose almonds for Nana, and my son chose pretzel bits for Pop-pop. Once you enter the manufacturing part you scan your ticket and the machines do the rest. You get to watch as each extra is added, the chocolate is poured on, and your bar goes through the drying machine. My kids in front of the drying machine. 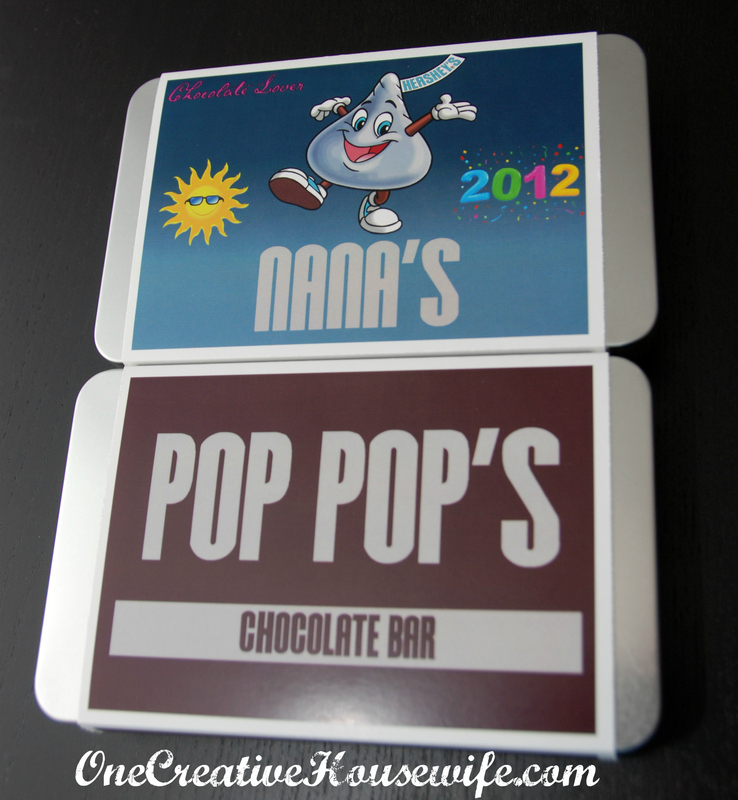 While your bars dry you create the wrapper using a touch screen. My daughter created Nana's wrapper and my son created Pop-pop's. 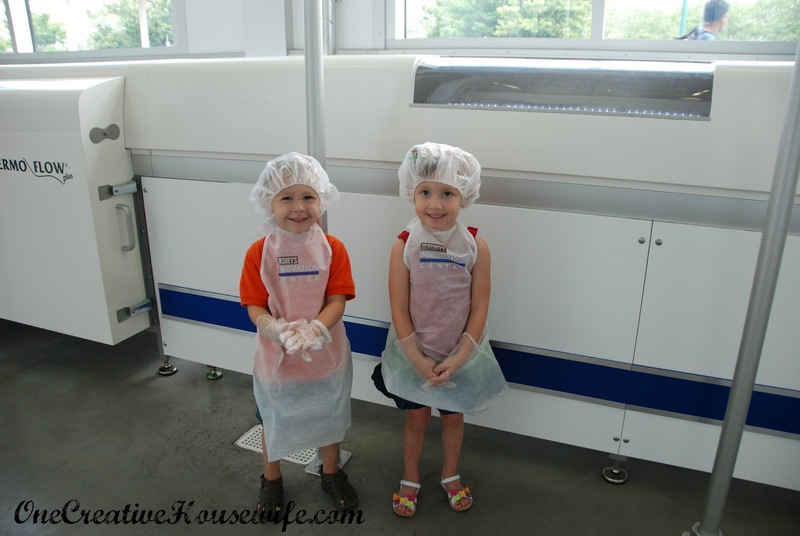 Next you get to watch your candy bar get packaged. 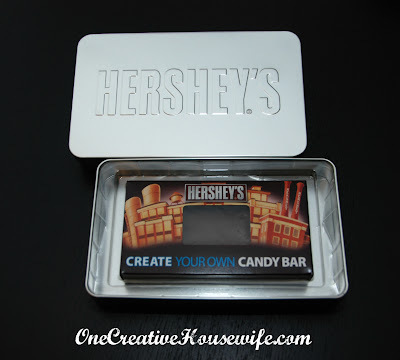 The bar goes in a little cardboard box with your name printed on the side, and then into a cute little Hershey's tin. After they place your bar in the tin, they add your wrapper. Lastly you end up with happy kids. That's right, Hershey is tons of fun. There's the trolley ride for more mature kiddos, I certainly recommend the spa, there's also Hershey Story - the museum, great for slightly older kids but I think applicable to all. Not to mention camping areas, good restaurants, the lights at Christmas time, hockey games, concerts, Indian echo Cavern right next door in Hummelstown, which also has a miniature golf course. Always wanted to do the make a candy bar thing. Usually I just go on the ride for a piece of free candy. This sounds like the most fun thing ever. We're planning a trip to PA for November. 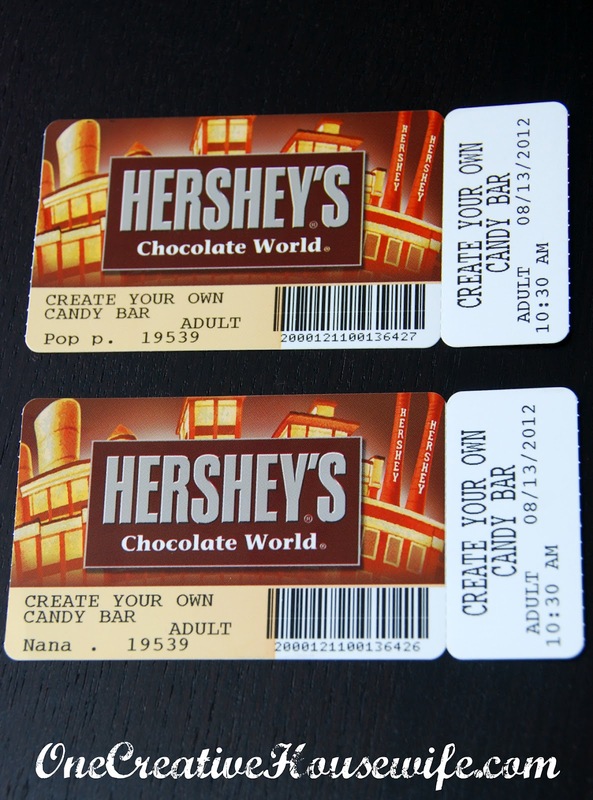 We weren't going to do Hershey this time but I think we now might have to!